I just joined the forum today and wish I had found it several years back Maybe it wouldn't have taken me so long to get back into it. I've looked at several of your patterns @darski and am in awe of your talent, creativity and generosity. I saved a couple I'm going to try, so thank you in advance for sharing your talent. Cute outfit, but love the blanket! Hello everyone! 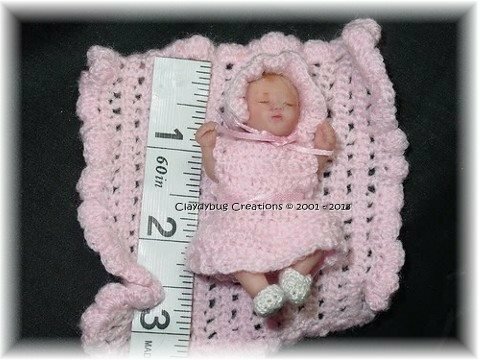 After several years of not crocheting, I'd like to learn more in order to dress the babies I make. I am primarily a polymer clay artist, but get easily distracted by other projects. I think this would be a good and productive way of catching my squirrel, if you will. 😄 I look forward to getting to know you! 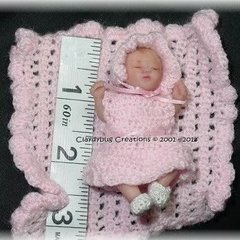 I'm including a picture of a layette I made several years ago.